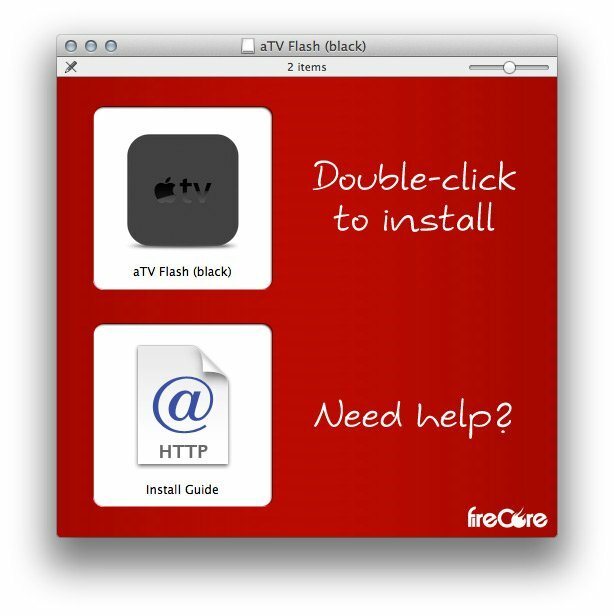 FireCore has just released an Apple TV supercharger – aTV Flash (black) 1.0, which features a new Media Player, Couch Surfer Pro web browser, Last.fm radio, Weather, RSS feeds and gives you fast access to plugins like nitoTV, Remote HD, XBMC and Plex client. 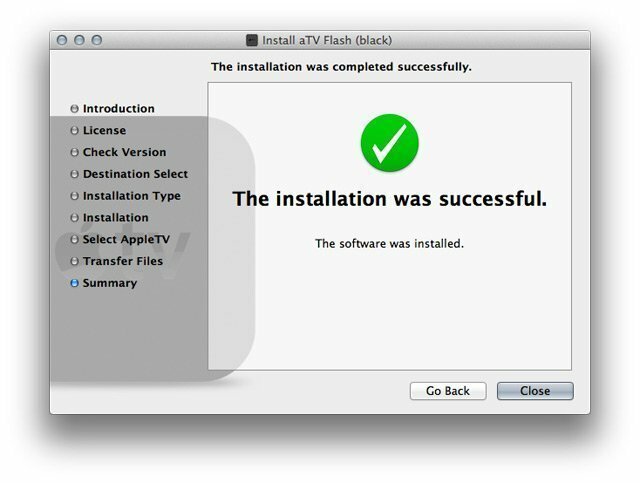 Here is a detailed tutorial on how to install the new version of aTV Flash on both Mac and Windows. 2. 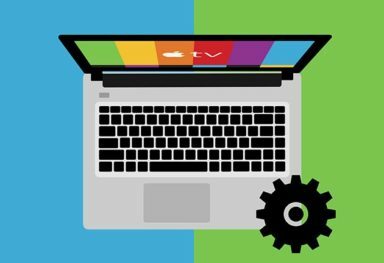 Connect the Apple TV your TV like normal (power, HDMI and wifi/ethernet). 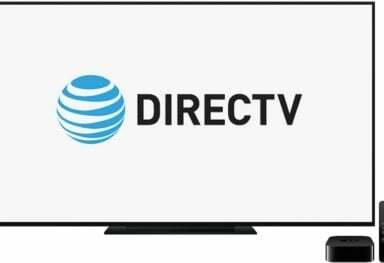 An active network connection will be required (the ‘In Theaters’ option under ‘Movies’ should be visible). 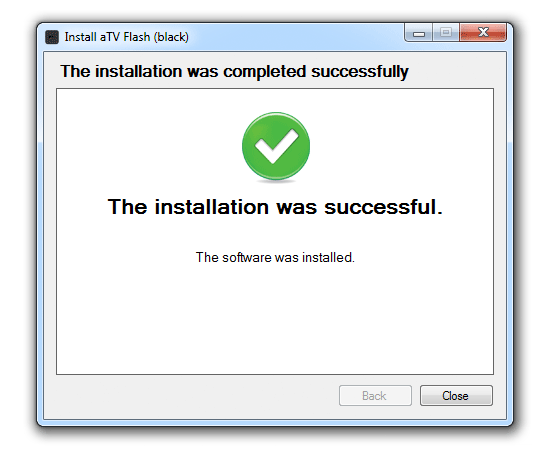 Step 2: Open the DMG and double-click the installer. 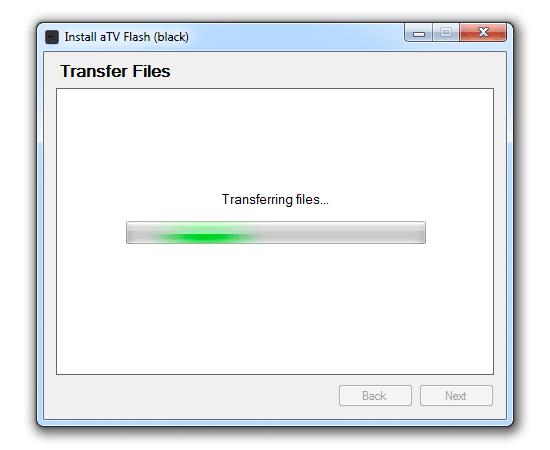 Step 3: The installer will copy a few small files to your computer (these will then be transferred to the Apple TV). 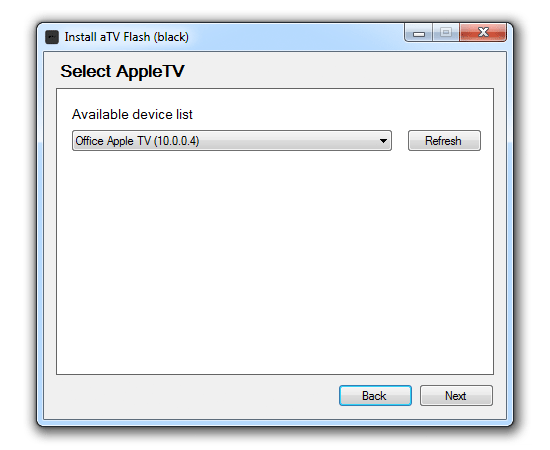 Step 4: You will then be prompted to select your Apple TV from a drop-down list. Step 2: Open the exe and choose a location to save the application (desktop is recommended). 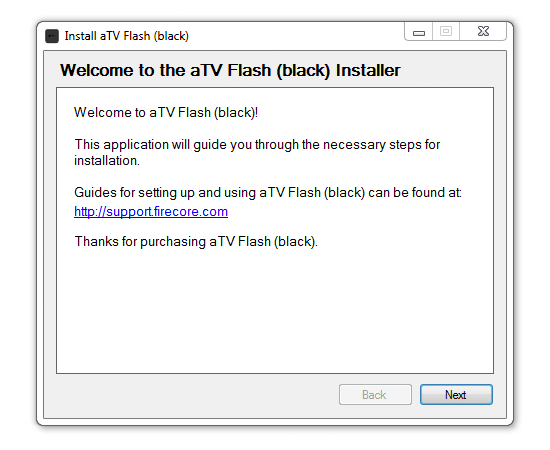 Step 3: Run the aTV Flash (black) program. 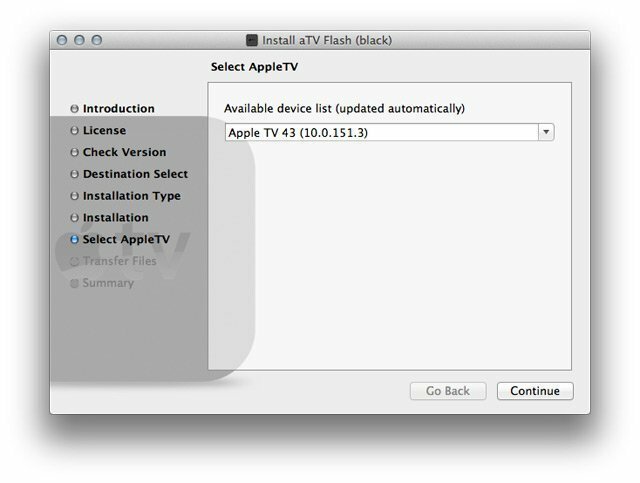 Step 4: Select your Apple TV from the drop-down menu. 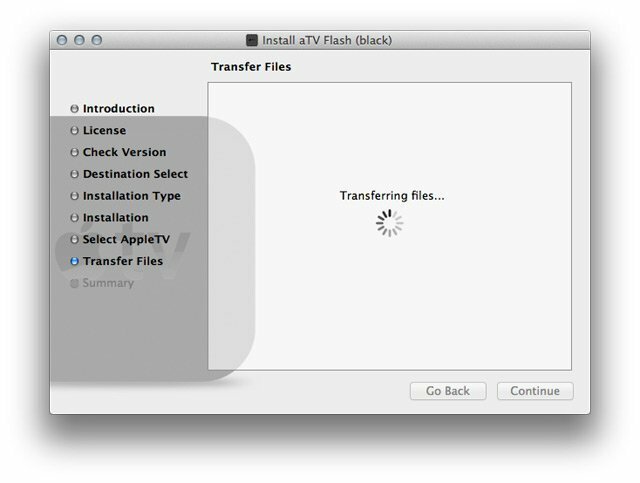 Step 5: The files will be transferred to the Apple TV automatically. 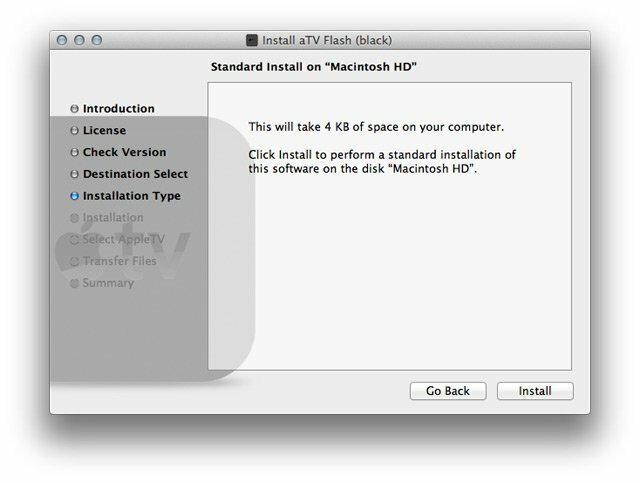 Step 7: After installation all apps and updates can be installed directly on the Apple TV through the Maintenance –> Manage Extras menu.